Personal loans can be instrumental in financing large purchases or bridging the gap between paychecks after a medical emergency or other costly event. Choosing a personal loan company is difficult because the vast number of companies is dizzying, and their terms and conditions differ from company to company. It can be tough finding a loan with an APR that doesn’t readjust itself or involve excessive origination fees. Meanwhile, other companies act as loan sharks, preying on the uninformed. Finding the right personal loan company for you can spell the difference between financial success and disaster. Social Finance (SoFi) is an enticing option for taking a personal loan because you can see if you’re pre-qualified online. That means no fees and obligations, which instantly makes SoFi a fantastic option for those looking to take our their first loan. There are no origination fees, no application fees, no prepayment fees and no balance transfer fees. Loans are available from $5,000 to $100,000. SoFi offers APR rates from 5.5% to 9.99%. However, their unemployment protection available to all community members is their defining feature. Upstart offers personal loans for college grads with no credit history. Instead of relying solely on credit history to determine APRs and allowable loan amounts, they consider a grads degree and field of work to help those with ambitious futures achieve their goals more readily. APRs range from 4.67% to 25.27%. This peer-to-peer lender doesn’t work with a bank in helping you acquire a loan. Approval decisions are based on more than credit history, taking into account personal accomplishments, education, and business savvy. Approval chances are high with loans from because investors have been eager to invest in peer-to-peer loans. Unfortunately, you won’t discover your interest rate until you apply, but don’t worry, you won’t be locked in after receiving this information. There is a one-time origination fee between 1.11% and 5% due at the end of the loan. Terms are available in 36 and 60 months. Avant is an online-only personal loan company that offers loans between $1,000 and $35,000. They offer loans at multiple credit levels starting with a FICO score of 600. Avant features next day deposits with proper documentation, so you can start acquiring your loan within 24 hours of applying. Avant offers APR between 9.95% and 36% with no prepayment penalty and no origination fee on unsecured loans. Avant is a great option if you need money now, and their solid rapport with clients is a testament to the quality of their service. Prosper is another peer-to-peer lender that uses an array of investors to fund a loan rather than a bank. Similar to Lending Club, approval rates are high because credit history isn’t the only factor determining whether you will be approved for a loan or not. However, the better your credit, the lower your APR. Prosper offers loans from $2,000 to $35,000 with a one-time closing fee of 2% to 5%. 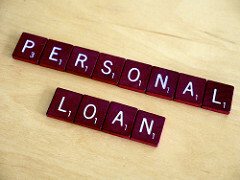 Choosing a personal loan company can be scary. Nobody wants to feel like they’re being scammed or not getting the best deal possible. Next time you think about taking out a personal loan, keep in mind that these five companies are some of the best in the business.